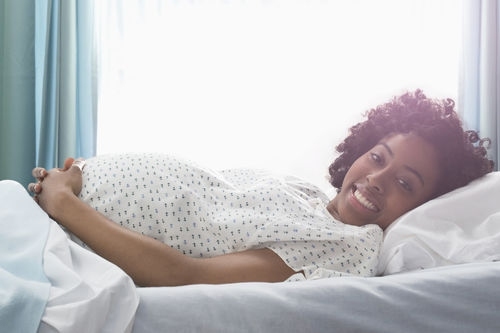 Pregnant women are often anxious about pushing during labor. They are unsure if they will know how to push and if they will be able to push. The second stage labor or the pushing stage starts when the cervix dilates completely. Complete dilation creates a smooth passage for you to push your baby out. Pushing may take one to two hours for first-time mothers and sometimes longer if the mother and baby can tolerate it. Here you will know how to push your baby out during labor. Pushing refers to the process of moving a baby from the uterus through the birth canal in the second labor stage. There are two methods of pushing. The first method is coached or directed pushing. During coached pushing, midwives give you directions on how to push immediately after you are fully dilated. You are directed to push whether you feel the urge to do so or not. The alternative method is called spontaneous pushing, which allows you to push based on your body’s natural urges. You only push when you feel ready and right to do so. A delivery or labor nurse directs coached pushing. You will be instructed to take a deep breath when a contraction starts, hold your breath and push as the nurse counts to ten. Pushing means that you tighten your abdominal muscles and exert downward pressure as much as you can. Some mothers compare pushing to passing a strained bowel movement. You will be directed to take another quick breath and push again. The aim is for you to push at least three times in every contraction. Coached pushing starts immediately after your cervix dilates completely to 10 centimeters. The second stage of labor starts at this point and continues until when you are just about to deliver. The pushing duration varies from several minutes to several hours. One common advice on how to push during labor is to avoid pushing when your baby’s head is crowning, so as to avoid tearing. Spontaneous pushing is also referred to as mother-led or physiological pushing. In this process, you have to follow natural urges in your body to push. Caregivers will advise you to listen to your body and only push when it feels right. They will urge you on and give you feedback where necessary. Most women wait until a contraction builds to a certain level to push. They do not take deep breaths but instead breathe out when pushing. They only hold their breath for short periods and pushes are in most cases shorter and more frequent. You may feel an urge to push when you are fully dilated. But if you feel no urge, rest as uterine contractions push the baby down. This is referred to as laboring down. When the urge to push comes, push at the peak of contractions instead of pushing in every contraction. You may increase the intensity and frequency of your pushes as the baby increases pressure on the pelvic floor. If you suffer from epidural, the urge to push may come when the baby is low enough. The medication may reduce the urge to push, so if the epidural is strong, you may not feel any urge. However, your body will push the baby down as long as the contractions are strong and there is a smooth passage. Practice the tips outlined below during pregnancy so that you can apply them easily when in labor. Keep your mind focused on the word as you breathe in and out. Think about the first syllable “re” when breathing in and the second “lax” when breathing out. Try to release tensions in your body as you breathe out especially from areas that become tense whenever you are stressed. Focus more on exhaling because inhaling is natural. Count up to three, four or any other number you find comfortable as you breathe in. Count up to the same number as you breathe out. It may be easier to count to three when inhaling and up to four when exhaling. One useful tip on how to push during labor is to keep your mouth soft and make sounds as you exhale. Do breathe in through your nose and out through your mouth. For instance, you can say aaaaah or ooooh as you breathe out. Sip some water between contractions to keep your mouth moist. Let your body and thighs relax and then push like you are passing the biggest bowel movement ever. Focus your mind on pushing and remember that it is normal to pass urine when pushing. Looking at the crown of your baby’s head will stimulate you to push. You can also reach down and touch it. Remember that pushing is a back and forth process. Do not be discouraged if the head crown appears and then disappears. Semi-reclined position: The position is recommended in hospital if you opt for regional anesthesia and when preparing for forceps or vacuum delivery. Side lying: The position slows down rapid labor and is recommended to protect the perineum. Other positions may include squat bar, foot pedals, modern birth beds and out of bed positions.